Penfolds, Swisse, and Blackmores products are among the victims of fake brands. Police in southern China have seized more than 30 million yuan ($6.3 million) worth of counterfeit products, including large hauls of popular Australian-branded wines, vitamins, foods, and cosmetics. Reported by the ABC In two separate operations, police confiscated fake Penfolds wines and Swisse and Blackmores supplements, among other products. Guangdong Police said in a statement they “destroyed” four criminal groups comprising 22 suspects during the investigation into the fake supplements over the past two months. A dozen of those suspects have been charged and further investigations are underway. In the other case, police said they seized about $2 million worth of wines and dismantled “a criminal chain” of 13 suspects who sold cases of fake Penfolds mixed with real bottles. Police said the criminal chain formally registered companies that were in charge of different stages of the operation, and mostly sold the counterfeits through e-commerce websites and social media platforms including WeChat. Local paper The Southern Metropolis Daily quoted Guangdong Police as saying that the criminal groups used tag lines such as “overseas direct sales” for products from Australia, and “direct postage from overseas and franchise stores”, to attract customers. Police added that some counterfeit products reportedly made about a 1,000 per cent profit, even though they were selling for a 50 per cent discount compared to the real product. 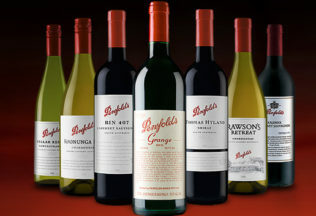 The criminal chain selling fake Penfolds wines reportedly bought generic wines for some 19 yuan ($4) and sold them as the famed Australian brand for 200-300 yuan ($42-$62), which was significantly cheaper than the 600 yuan market price ($125). Freedom Foods has launched a new line of quinoa chips under its Crafted Blends range. Established supermarkets around the world work from a pretty similar, well-honed playbook.